Wafubeh! Welcome to Warlock Asylum International News. Today, we are blessed to have with us as a guest, wine expert and owner Eddy Le Garrec. 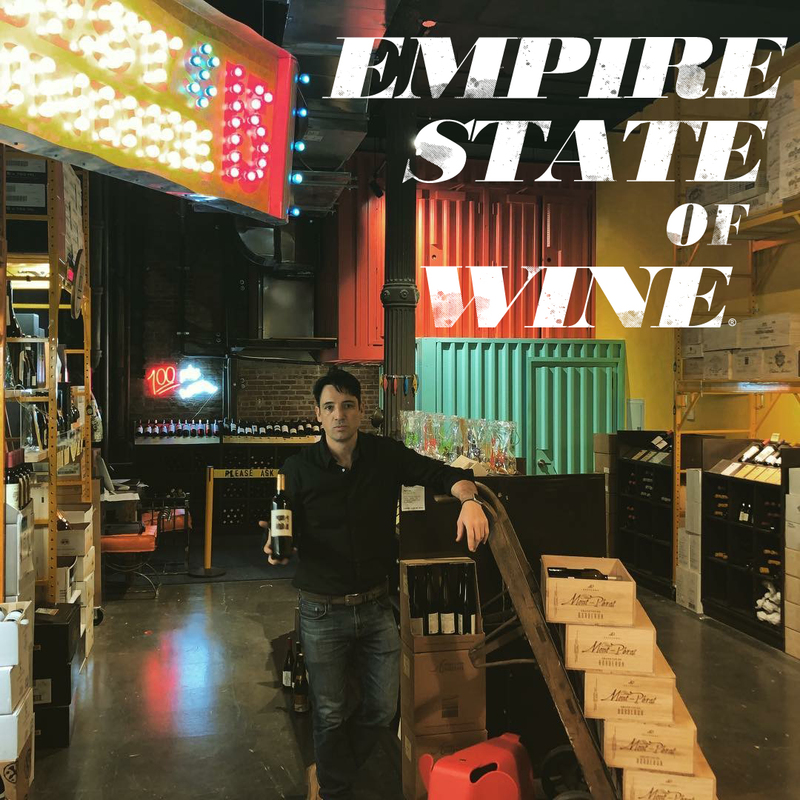 Not only has Eddy Le Garrec been able to successfully accomplish his dreams, but has added so much to New York City’s culture with the recent opening of Empire State of Wine. I had the honor of getting to know a little bit more about this entrepreneur and how his business of wine became a reality. Amazingly, there is something is his story that can benefit us all. Warlock Asylum: I would like to personally congratulate you on your recent opening of NYC’s new Wine shop, Empire State of Wine, and, your 7-figure cashing out of W Wine Boutique in Miami, Florida. However, for our readers who are not familiar with your businesses, please tell us who is Eddy Le Garrec? Eddy Le Garrec: I’ve been in the business for over 25 years, selling, and most importantly, buying fine wine since 1991. I was born and raised in France, and moved to Los Angeles in my late 20’s and was part of the growing wine rush of the 90’s in the U.S. As a wine educator, I introduced and updated “Le Nez du Vin” to wineries and schools all over the country, helping students improving their olfactory senses. Warlock Asylum: You are originally from France. How was life growing up in France, and what inspired you to move to the United States? Eddy Le Garrec: I had a very happy childhood, raised between Paris, Cannes and Brittany. My parents were in the restaurant and retail business, so my brothers and I were always involved in the business very young, which gave us a great work ethic. At first, it was to improve my English, but I had a breakthrough as soon as I stepped foot in the land of the free. I’m still so grateful and proud to be an American today. Warlock Asylum: When in life did your interest in the retail wine industry begin? Eddy Le Garrec: As I mentioned earlier, I was raised with parents in the industry. It’s in my DNA. Warlock Asylum: A retail wine store owner is not a common career. I can imagine the training that it requires to develop a fondness with the art of wine. How did you come to the decision that this was the career for you? Warlock Asylum: What obstacles did you have to overcome to make your love for the wine industry work as a career? Eddy Le Garrec: Probably the “three tiers system”. The liquor laws in the US were written in the 1930’s, under prohibition, so it’s very costly to import wine from overseas. I found a system (legal) that allows me to import directly from winery, but I must commit to large orders. Warlock Asylum: Having love for a specific craft and making it work as a career is quite an accomplishment. However, creating your own retail business presents additional challenges. You have been successful in all aspects of creating and cashing out a previous wine store in Florida. What are some of the challenges you had to overcome in New York City to develop this new successful wine business? Eddy Le Garrec: Getting approved for the license was a long process, as well as, finding the right location at the right price. It took a lot of negotiating but I now have exactly what I wanted. Warlock Asylum: As a successful business owner what advice would you give to someone who is looking to open a wine shop of their own? Eddy Le Garrec: Be authentic. Do not assume that Americans don’t know quality wines. Most of my opponents think they can markup wines very high and get away with it. My battle is to bring high quality product for fair prices. Warlock Asylum: Thank you for taking the time to answer a few questions and sharing some of your insights. I look forward to visiting your New York City wine store and doing some wine tasting as a fellow New Yorker. What are your future goals? Do you plan on cashing out Empire State of Wine after you have your next endeavor in sites? Eddy Le Garrec: I do not have plans currently to cash out. Creating this new concept and design the store, this is a brand-new business and I am just getting started. Meeting all of the great people that come into Empire State of Wine is priceless. I’m enjoying being a New Yorker and meeting people every day! Teaching people about wine and hearing their stories makes me want to continue this NYC journey! Visit www.empirestateofwine.com and stop by Empire State of Wine in NYC at 111 West 20th street right across 6th avenue from the historical Limelight.